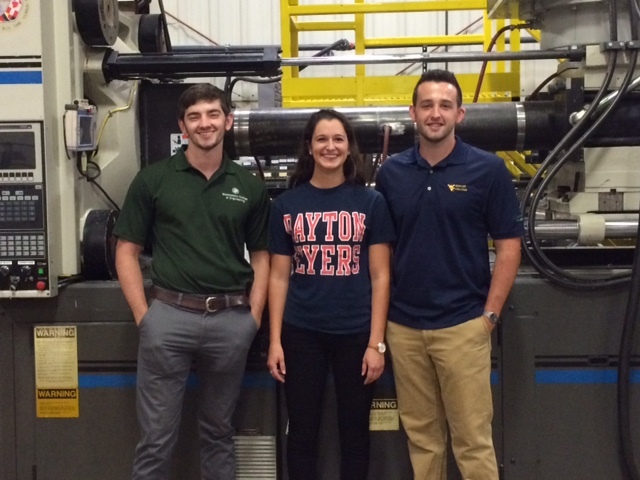 This spring, we hired 3 college interns for 3 different functions: Engineering, Accounting and Marketing. We had complete success over this summer with each function and found our interns to be knowledgeable, curious, and engaging well with other departments well. “At Mar-Bal, Inc., we feel that intern and co-op programs are one of the best incubators of talent at a time when the market is extremely competitive for regional hiring. 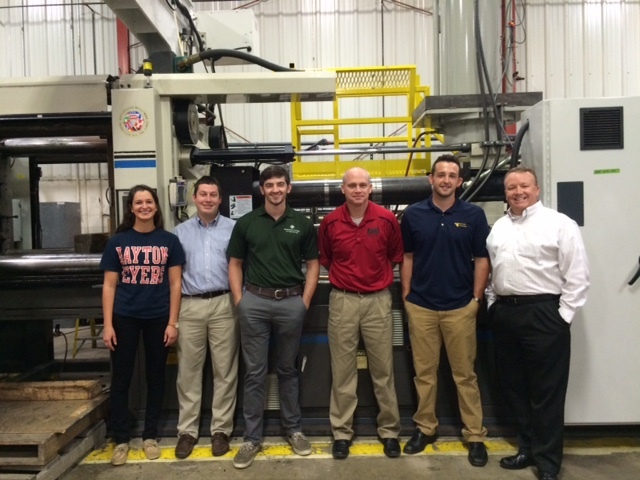 We provide our interns an onboarding process, similar to that of our full-time, regular employees. This is designed so that they understand the “why” of what we do, how we do it, and how they can contribute to the organization for the time they are with us,” stated Maria Gaeta – Director, Human Resources. We asked each of the interns to provide us with their Mar-Bal experience from their perspective and you can follow their internship experience by reading their submissions outlined below. It has been a long time since I have been asked to write a paper. Students in Cleveland State’s Washkewicz College of Engineering do not have that privilege, regrettably. I miss the feeling of a bright screen illuminating my face as a coffee cup and music playlist guide my thoughts at two in the morning. Those days have been replaced with grueling project on MATLAB, Microsoft Excel, and old-fashioned pencils and paper. The Microsoft Word application on my laptop sits stagnant anymore. Describing my experience this summer has taken some serious thought. I’m a Mechanical Engineering student with plans to attend graduate school for a Master’s Degree in Biomedical Engineering. I wasn’t all too sure how I could apply my experience working with thermoset injection molding to my career goals. After breaking it down analytically, this experience has been incredibly helpful for a lot of reasons. The main task I received this summer involved organizing 2-D CAD drawings and helping install a digital library so as to migrate away from the pre-existing system of paper drawings. I spent quite a few days learning Spanish from Teresa in Quality Control as I dug drawings out of filing cabinets and scanned them over and over again. As time has gone on, though, I’ve gotten very comfortable with MBI’s system of organization. Computer-Aided Drafting is a huge part of what Mechanical Engineers do, and I feel confident with the heightened understanding this internship has granted me. Exposure to the plant has proved beneficial as well. Manufacturing processes are a focal point in Mechanical Engineering coursework (I have a class this fall with that very title). Mar-Bal has narrowed the mental gap I had between book work and real-world application. (You can read about the ocean all day long, but you can’t taste the salt until you dive in. Mar-Bal has helped me taste the salt.) Over the course of my internship, I have cleaned many blown molding presses in the tool room, helped troubleshoot a faulty extruder, de-flashed fresh insulators, inspected parts for cosmetic flaws, and witnessed exactly how Mechanical Engineers are used in the industrial world. Not to mention, I’ve learned a thing or two about the pros and cons of thermoset injection molding. The best part about working with Mar-Bal is the community. From lunch with the company president to 6am shifts with the boys in the tool room, everybody is welcoming, knowledgeable, and makes my hour-long commute one which I look forward to. In all honesty, I could write page after page about the fun times I’ve shared with my co-workers. I’m willing to bet Garrett has never taken such a beating in Corn Hole before, and Lizzy and I have flipped this office upside down with our day-to-day antics together. I’m thankful every day that Mar-Bal gave me the opportunity to be part of their team (looking at you, Maria). They have provided me with an effective cornerstone from which to build up my career as an engineer. I am exceptionally grateful to Aaron for his patience as I worked under his wing; he’s been an awesome guide throughout the summer, and an excellent role model as a dedicated worker both in and out of the office. I remember my first day at Mar-Bal like it was yesterday. Waking up at 6:30, it felt like the first day of school. I nervously drove to Chagrin Falls not knowing what to expect. I was greeted with a nice smile from Jill at the front desk and warm welcomes from the rest of the team. I knew right away that Mar-Bal was a special place. I was given a tour of the office, and even went down the street to the Ohio plant where I got to see firsthand some of the products that Mar-Bal makes. As a rising Junior at the University of Dayton, most of my accounting experience had been limited to textbooks and tests, with very little real world experience. I can truly say walking out these doors just two months later that I have gained invaluable experience that I never thought possible. When I was asked to reflect on my experience at Mar-Bal, I realized what a great summer it had actually been. John Kozminski was my mentor this summer. Although my theory is that he drew the shortest straw and got stuck with this job, I was the lucky one and couldn’t have asked for a better teacher. John not only taught me how to complete each assignment, but would also explain to me what I was doing. Instead of memorizing a task, John would teach me about the materials that were being used, why we were calculating certain numbers, and all about Mar-Bal’s different products. Because of John’s patience, the things I learned were not just limited to accounting. It is clear that the workers here are proud of the company they work for and I can only hope to be as passionate about my job in the future. 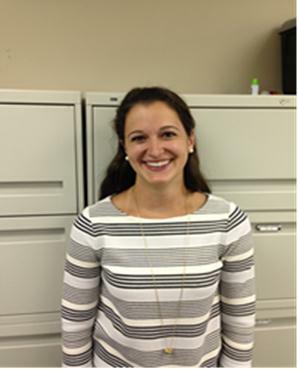 Being placed in the finance department, I came to learn all about my coworkers: Jill providing the entertainment, Mary and her lunchtime walk, Jim and his cars, John and his uncanny sports knowledge, and of course, “everyone’s friend” Allyson. If I had a dollar for every time someone asked, “Is Jim Meiser back there?” and he responded with, “No,” I could probably retire right now. Each person had their own knowledge that wasn’t limited to finance, or even Mar-Bal for that matter. We shared stories and laughs every day, and these people will hold a special place in my heart for many years to come. 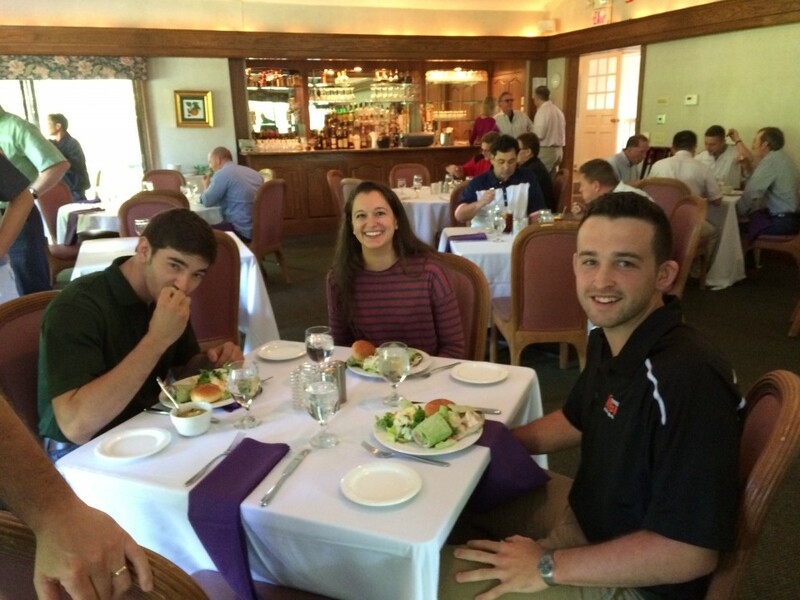 I was also introduced to two other interns, Dan Miller and Garrett Carden. 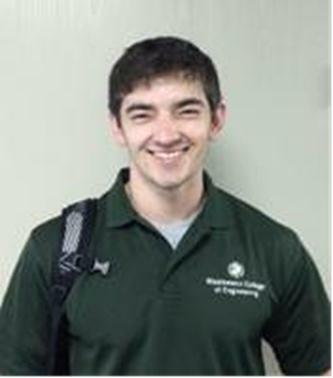 An engineering intern, Dan also worked out of Chagrin Falls. 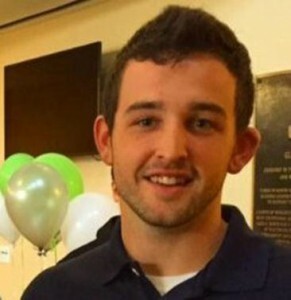 Garret was hired as a marketing intern while working and living in West Virginia. Dan and I had the opportunity to meet Garret once when he came to Ohio for a week in June, and the three of us stayed in contact ever since. Working with the other interns has also been an experience of its own. There is no doubt in my mind that these two impacted my time at Mar-Bal, and I couldn’t have asked for a better duo to work with. So what did my job consist of? That’s a question I still don’t think I have an answer to. (Joking). I worked mainly with payables, while assisting with any other task that arose. Some of these tasks included working on bank reconciliations or adding journal entries for the China plant. Also, at least once a week, I worked with Mary in receivables. I was also able to attend the QBR meeting in June, which was a great experience for me as an intern. Throughout the meeting I heard words and phrases that I had learned about in class, but being able to see them applied in real life situations was really rewarding. Of all my experiences this summer, attending that meeting was the most impactful. As I head back to the University of Dayton in a few weeks, I’ll be thinking about my friends at Mar-Bal and wishing them all the best. I am grateful for the opportunity I was given, and truly appreciate everyone who has impacted me along the way. Thank you!! Life as an intern has both ups and downs: from tasks that no one else wants to accomplish to the learning experience of a lifetime. This is the case for many interns across the country; from my experiences here at Mar-Bal, Inc. it has been the polar opposite. MBI, like any other company has one main focus, success. From the small family owned companies all the way to the large corporations, ethical business practices and quality of the final product are not always held at the forefront of their business model. Too often you see companies sacrifice these important practices in order to turn a larger profit by cutting corners anywhere they can manage to do so. This is a far cry from the practices here at Mar-Bal, Inc., where quality and customer come first. Being a family owned company makes for a great work environment, there are no walls creating barriers between the different departments, thus thoughts flow freely and forward thinking and innovation are easily found. ‘Composites’ was always one of the vocabulary words I would skip in the textbooks; nothing about an object that was made out of several parts or elements caught my eye. 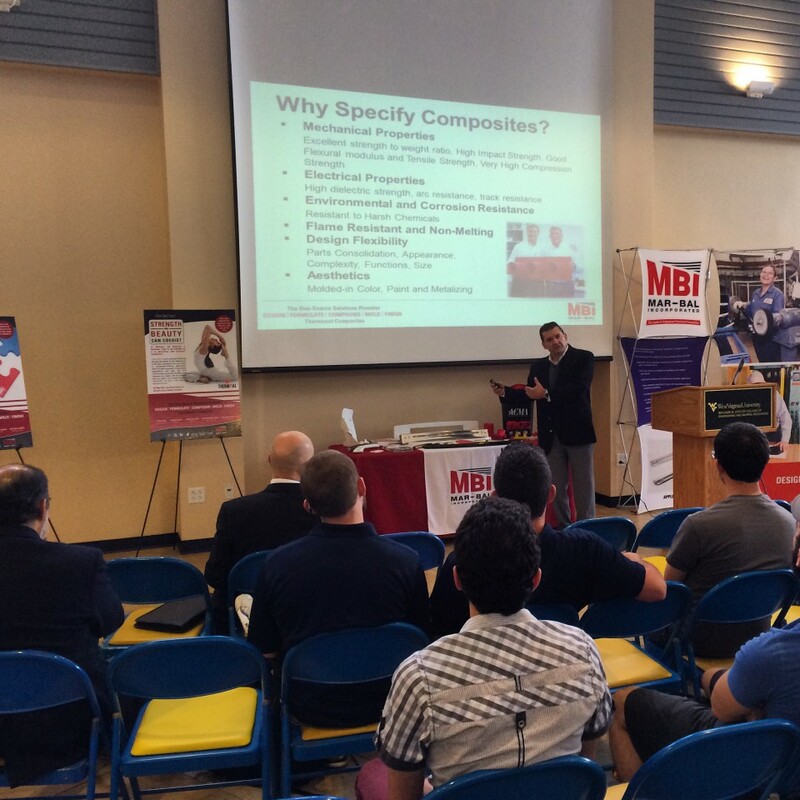 This all changed after two representatives, Ron Poff and Marc Imbrogno from MBI came to present a knowledge share about their company and composites in general. I, along with the 50 other audience members were awaken to the fact that composite materials show up in almost every industry, and the market for these materials will continue to grow for years to come. This nearly endless list of applications for these materials, and the growing demand drew me in, and brought the idea of manufacturing to my mind. I always have enjoyed manufacturing processes, but this solidified my desire to be in the manufacturing scene on a day-to-day basis. As an industrial engineering major, a new set of challenges have been laid out for me through this experience at MBI as the Market Development Intern. Clearly the engineering and marketing curriculums are vastly different, but under my mentor Ron Poff I have been shown that I can apply my engineering knowledge to assist in data analysis for the Marketing projects I am assigned. I love a new challenge, and that is exactly what I have. It has become fun to sort through pages of data and bring it together to create something to help the company, and build both my industrial engineering and marketing skills. The data is the paint to my canvas, when applied in the correct way the picture unfolds. I am proud to say I enjoy doing the work I am given. My week at MBI headquarters in Chagrin Falls, OH was definitely the highlight of my internship experience so far. Working with the sales team, the plant manager, the machine operators, and the quality assurance team really gave me a great overview of what occurs daily at MBI. Each colleague I worked with was more than eager to share his or her knowledge and pride of the business with me. While in town, I was able to meet the accounting and engineering interns as well. We built an awesome relationship in the few days we were together, and this was used as a testament to MBI’s wonderful, open work environment. 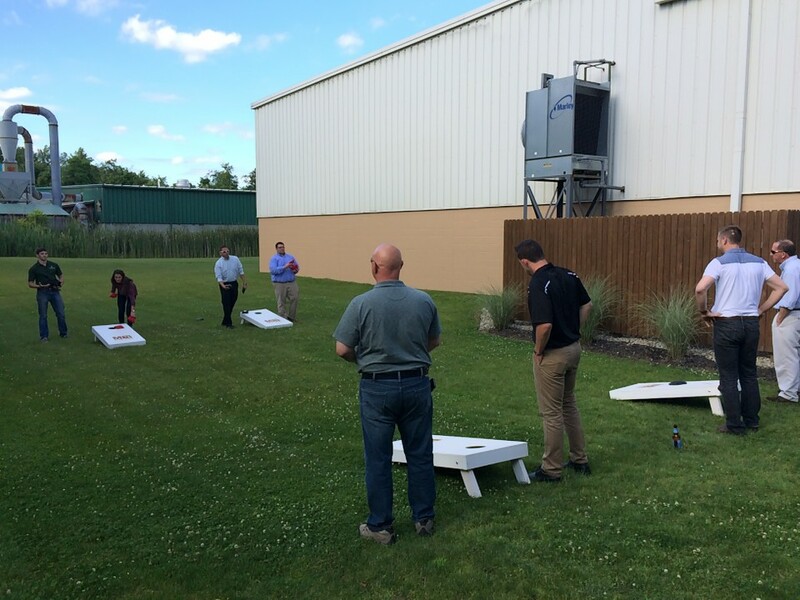 We even got into a friendly game of ‘corn-hole’ at the company picnic, where the accounting intern and I took the victory. The company functions as a family, we all contribute and work hard to achieve success, you never feel like an island here, there is always someone who has your back. This entry was posted in News and tagged accounting, composites, engineering, internship, university on August 28, 2015 by Ron Poff.